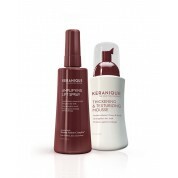 Keranique is not just a line of haircare products. It's actually an entire hair regrowth system specifically designed for women with thinning hair or those who simply want thicker hair, and is an ideal option for women with all hair types. Simply follow the three-step process to combat dull, lifeless hair. Step 3: Treatment for Volumizing or Regrowth can vary based on your individual needs. For clients with thinning hair, the Hair Regrowth Kit will produce the best results. This kit includes the Minoxidil hair regrowth treatment specially formulated for women. 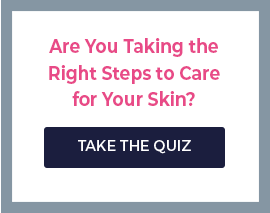 This process starts with Keranique's Revitalizing Shampoo, which targets clogged follicles, which can contribute to thinning hair because clogged follicles can't produce healthy hair. The advanced shampoo formula deep cleans the roots and follicles to jumpstart healthy hair production once again. Next, condition with the volumizing conditioner. This specially formulated conditioner has a hydrolyzed keratin compound that helps shield your hair from the environment and protect it from damage that can result from elements like humidity, heat and moisture. And, finally, there's the Treatment for Volumizing or Regrowth. That includes the Hair Regrowth Kit, which contains Minoxidil hair regrowth treatment to help women with thinning hair. Women who simply want thicker hair can turn to the Thicker Fuller Hair Kit, which has a follicle-boosting serum and a volumizing lifting spray. Both options result in thicker, fuller, healthier hair.